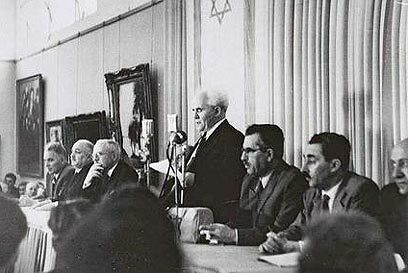 Herzl regarded Zionism’s triumph as inevitable, not only because life in Europe was ever more untenable for Jews, but also because it was in Europe’s interests to rid the Jews and be relieved of anti-Semitism: The European political establishment would eventually be persuaded to promote Zionism. Herzl recognized that anti-Semitism would be HARNESSED to his own–Zionist-purposes. Herzl’s most fervent supporters were anti-Semites. Both Zionists and anti-Semites concur that the Jews as an inassimilable minority which needs to be removed from Gentile society. Hence, Zionists have historically aligned themselves with anti-Semites ranging from those in Czarist Russia to those in Nazi Germany. Where the supposed latent anti-Semitism of Gentiles fails to manifest dramatically, and at times when Jews are in the process of assimilating into Gentile society (as they were in pre-Hitler Germany), Zionists provoke, encourage, and even directly create anti-Semitic movements and incidents. The contribution of our enemies is in the continuance of Jewry in eastern Europe. One ought to appreciate the national service which the Pale of Settlement performed for us … we ought to be thankful to our oppressors that they closed the gates of assimilation to us and took care that our people were concentrated and not dispersed. Instead of establishing societies for defence against the anti-Semites who want to reduce our rights, we should establish societies for defence against our friends who desire to defend our rights. In Paris … I achieved a freer attitude towards anti-Semitism, which I now began to understand historically and to pardon. Above all I recognize the emptiness and futility of trying to “combat” anti-Semitism. Without Hitlerism, Zionism might not have succeeded beyond being a fringe movement. Germany was the most unlikely source for Zionist support among German Jews. Such was the assimilation of German Jewry and its full identification with the German nation that Herzl’s original aim of having the First Zionist Congress held there had to be changed to Switzerland due to the opposition of German Jews. I am a German of Jewish stock. My nation is the German nation, my fatherland is the German fatherland, and my faith is the German faith, which transcends the various confessions.